There were a number of posts over at B/X Blackrazor, which I've been reading since the announcement of the author's B/X Companion, that culminated in this entry. Something about it was percolating in the back of my mind; I think it became solid as I was reading back over about Braunstein, the wargame scenario that led directly to the development of Blackmoor and from it Dungeons & Dragons. This will be the first of a short series of posts on how I define D&D. For me, at the core of D&D is a hidden-map game. The dungeon is the hidden map; in the course of the game, the map becomes known and the characters find the things marked on its key - whether that means monsters, treasure, traps, puzzles, or anything else the referee has chosen to put on it. To me this emphasizes the fact that the exploration is the heart of D&D, and any game worthy of the name focuses on this. The hidden-map game is not just one mode of play in D&D. It is the subject of a relatively simple set of rules: characters have well defined movement rates, there are rules about the rate of exploration, opening doors, listening at doors, setting off traps, finding secret doors, running into wandering monsters. There are a number of internal timers built into the game, including the time needed to search, various upkeep items (rations, torches etc), the break every 6th turn, and of course random encounters. And if you play OD&D, Holmes Basic D&D, first edition AD&D, B/X D&D, and as far as I know Rules Cyclopedia D&D, and you follow the dungeon exploration rules, you will be playing basically the same hidden-map game as any of these editions. Later games branded as Dungeons & Dragons didn't have this; they subsumed the hidden-map game into a larger "game system." From the perspective of actual play, this simple set of mechanics was at the center of a very light game engine. Other systems were developed for things like fighting monsters, determining treasure, casting magic spells and so forth - but in the early days of gaming these were not front and center. This is sharply differentiated from 3rd and 4th edition Dungeons & Dragons. 3rd edition was not about exploring the hidden map to find what was on it (and whether you'd survive), as much as it was a character-building game in which the DM provided combat-based "challenges" to the carefully crafted PCs. 4th edition is a tactical combat game at heart. I bring this up first because, to me, the hidden-map game is the most fun part of D&D. I love drawing up maps of dungeons, with tricks and traps and twisting corridors and secret doors, and then having players progressively find their way through them, fighting or running, or tapping a 10-foot pole, and I also enjoy being on the other side of the table. It's a very evocative kind of fun and completely different from what you do in the modern games - and, to be honest, it's a game where combat is not the preferred option in most situations. It's unprofitable unless there's a mass of treasure to be had. What I am not doing here is limiting what I think D&D is or does to the hidden map game. But that's the first major part of what D&D means to me. I'll post the second part later. riffing on "Strength is for Fighting-Men"
James M. over at Grognardia posts so much that it's easy to forget that this post was only a week ago. But so it was. One of the things that has never, ever sat well with me, in any edition of Dungeons & Dragons (except for 3-book OD&D and Holmes basic), is that Strength gives bonuses to hit and to damage. It's far too important of a stat, especially in AD&D where "Exceptional Strength" charts remain one of my least favorite things about the game. Even the "milder" B/X variant irks me. Strength is just a big thing in most editions. But I've been mulling over what to do with Fighting-Men. And I think giving them +1 to damage in the style of OD&D that I like (with my matrix that simplifies the Greyhawk weapons vs. armor table instead of giving weapons variable damage) for Fighting-Men with a Strength of 14 or more fits in the category of where I want stats to be in the overall scheme of things. It doesn't go too far with emphasizing Strength but it does give Fighting-Men a bit of variability. All of which leaves me torn between what else to do with Fighting-Men, because I do find them to be a bit less impressive than the other classes in OD&D by the book. Aside from multiple attacks, which are a given and I just have to figure out their form, I was also considering a mulligan rule to prevent Fighting-Men from whiffing on damage rolls. Nothing extreme, just saying that Fighters and only Fighters get one re-roll when their damage die shows a 1. Statistically that pushes every other result up to 7 in 36 and pulls 1 down to 1 in 36. Dunno how this would work combined with the extra damage, though. Just wanted to put that down. Sometime soon I'll be working on level design (I have an idea for an entrance to the mega-dungeon, a "ruined temple" access point, that I've been kicking around in my head) and will get to posting about that. One of the things I've been thinking about is the "Utility Spells" in D&D. Basically, until a M-U has more than 3 spell slots available, why would he or she memorize Read Magic instead of Sleep or Magic Missile? - Magic-Users may cast any eligible spell in their spellbook that they could memorize, as a ritual, without memorizing the spell. - Clerics may cast any eligible spell that they could normally memorize, as a ritual, without memorizing the spell. First-level Clerics may cast Protection from Evil as a ritual but no other spells. - Rituals take 1 turn to cast plus 1 turn per level of the spell being cast. Any interruption in the casting disturbs the spell and it cannot be cast again in the same day. - Casting a ritual spell requires material components on the following scale. 1st level: 10 GP; 2nd level: 100 GP; 3rd level: 1,000 GP; 4th level: 10,000 GP; 5th level: 100,000 GP; 6th level: 1,000,000 GP. These should be appropriate to the spell being cast and must be purchased in advance. - Any spell may only be cast as a ritual once per day, and characters may not in any case cast more than 3 ritual spells in one day. One of the things that I have never been quite so happy with in the Old School Renaissance is the extreme tendency toward simplicity in character types - after all, in a humanocentric OD&D game, you're basically a Fighting-Man, a Magic-User or a Cleric. That's fine for one off gaming, but as players want to do different things it can be a bit monotonous. That's part of what I like about Holmes, which adds the Thief class. It can probably use a bit of polish, but without the Thief you pretty much have no options for the player who wants to be something like the Gray Mouser. I'm okay with the Holmes Thief at this point, really. The "character skill" aspect of this is avoided elegantly by noting that Holmes has a "Remove Traps" skill rather than the later "Find or Remove Traps" - the others are mechanical (Open Locks, Pick Pockets, Move Silently, Climb Sheer Surfaces, Hide in Shadows, and the already existing Hear Noise). This integrates tightly into the D&D I already prefer to run. But the "basic 4" classes leave a real niche uncovered that I think should be filled. I think the Ranger type, somewhat modified from the original presented in The Strategic Review (it's a bit powerful despite its claim otherwise), fits it. The Thief is good at some dungeon tasks, and I'll probably add scroll use for extra Gray Mouser flavor, but a tracker / archer type is really what the game demands IMO. I've run into more issues with OD&D when players got frustrated trying to play a lighter-armored archer than anything else. The ranger fits with the loner hero type; Aragorn is the obvious inspiration, but I think you could find a lot of rangers in post-apocalyptic fiction (Hiero pretty closely fits, I think, despite the fact that he's technically a priest). And it has a clear place in the game, which I think is very important. 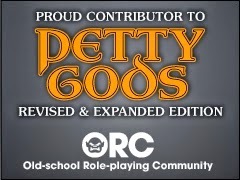 For me the watchword remains "don't repeat AD&D, or do AD&D lite." I think a lot of the restraint with regard to classes is based on this, but we shouldn't kid ourselves. It was relatively rare in golden age (pre-1979) play that people didn't bolt on any and every character type that they could get their hands on. I think it has more to do with forethought and planning; I think the Ranger is a good fit for the kind of D&D I want to do, so I'm tinkering with the class. It's one thing to go back to basics at first, so you can figure out what your style actually requires, but to enshrine this as a principle is mistaken. Still, there are a few concerns with Holmes, mostly in the short combat section. Initiative based on Dexterity - I leave that to long time Holmes fans to make the case to me. 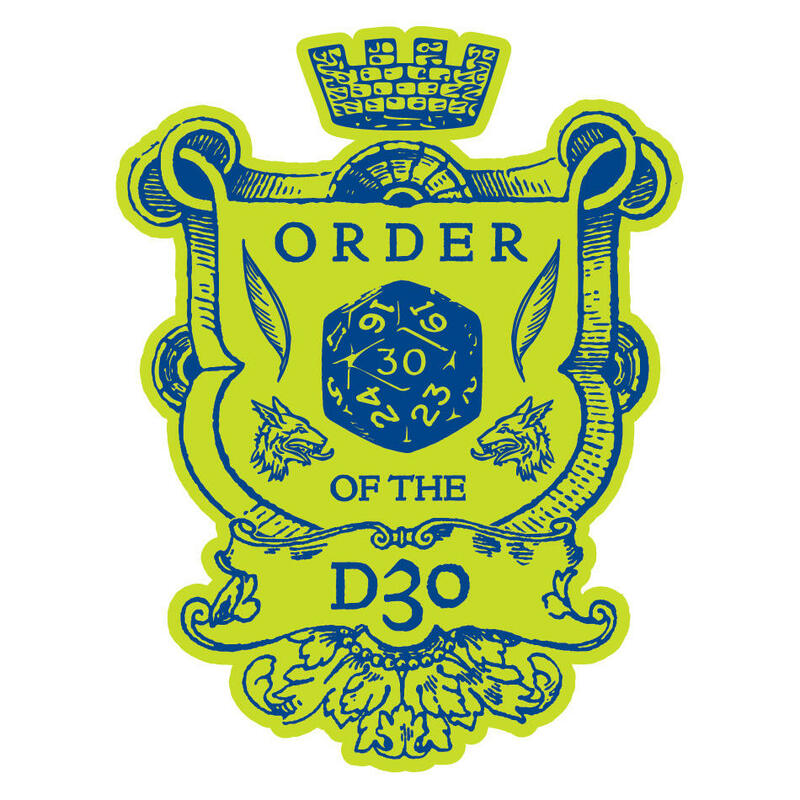 Honestly rolling 3d6 and counting down Dex scores sounds cumbersome compared to my preferred initiative method, which is each side rolls 1d6, high roll wins it, ties occur simultaneously. (This blog is, after all, named after a long run where the PCs lost the initiative in every fight.) But more worrisome are the rules for weapon speed. Basically, daggers are said to roll twice per round, most one-handed weapons go once, and two-handed weapons go once every other round. There is no "weapon type vs. AC" chart, and everything does d6 damage - so a two-handed sword means you're rolling to hit 1/4th as often as a dagger with no benefit. In fact, everybody but clerics (who have to use maces) should be combat gods according to this comparison. I've been thinking about raising the damage dice for other weapons and lowering it for daggers, but that still doesn't work. To actually have a better average effective result as a dagger, with the dagger doing 1d4 twice (average 2.5 x 2 = 5), the long sword would need to do 1d10 (average 5.5) and the two-handed sword would need to be rolling a d20 (average 10.5 / 2) for damage. Light weapons - daggers, mainly - 1d4 damage, Fighting-Men and Thieves get 2 attacks / round, -2 to hit versus AC 7 or better. Normal weapons - maces, spears etc - 1d6 damage, 1 attack per round. Heavy weapons - swords and similar - 1d8 damage, 1 attack per round. 2 Handed Weapons - two handed swords and polearms, 1d10 or 1d12 damage, 1 attack per 2 rounds, +2 to hit versus AC 7 or better. Holmes does have one other "hole" in the combat system - specifically it says that Fighting-Men get more attacks but doesn't go into detail. I'm considering that at Hero level, they get 3 attacks per 2 rounds, with the 2 coming in round 2, with normal weapons, 3 attacks per round with light weapons, and 3 attacks per 4 rounds (essentially skipping a "rest" round) on 2-handed weapons. When they reach Super-Hero, this goes to 2, 3, and 1 respectively; I realize that the consistent thing would be 4 dagger attacks per round but that's just silly. Holmes rounds are 10 seconds long, not the 60 second abstraction of AD&D. I think I like the dynamics of the house rules listed above. It doesn't complicate things too much, it differentiates weapons without giving too much advantage to one type or the other, and it's mathematically sound. Any thoughts? I'm looking at getting a campaign ready between now and September, since we will have a big enough apartment that playing at home would be more feasible, and I've been looking hard at various systems that are available for doing so. Of course there's what I had been running, OD&D with supplement content as needed, but it doesn't really have the same appeal for me that it did. What I'd been considering is Labyrinth Lord or Rules Cyclopedia D&D - just because both are complete in one book and reasonably straightforward. But the steps they take beyond OD&D - race-as-class, ability scores becoming emphasized, and the slow growth of subsystem bloat that eventually overtook RC D&D - don't appeal to me. So I think I've found my solution: the 1977 Blue Book edited by J. Eric Holmes, although with significant amounts of house-ruling. Holmes was unique, in that unlike anything else produced it documented D&D as it was played before it became AD&D. People used the handful of things that it added from Greyhawk - magic missile, the Thief class etc - much more than the clunky quasi-Chainmail system. The rules work pretty well, although there are a couple of obvious issues, the biggest being the lack of rules above level 3. I'm going to plug that hole with the Holmes Companion, which to be honest is basically just extrapolating out the extra data from Men & Magic. Most of the other issues are fairly simple and involve things I had issues with in OD&D anyway. For instance, I found that plate mail has a really heavy distorting effect on certain things, as PCs immediately start off with AC2 for any but the poorest fighting-men and clerics; my solution is to come up with an expanded equipment list where plate is more expensive, throwing in a handful of goodies taken from Arduin just for fun. (It's actually pretty sane stuff, like grappling hooks, crowbars and a couple more ranged weapons - although Arduin also has prices for gladiator nets, aerial saddles and spider-silk ropes.) I also fully intend to actually use the 3/4ths of the Ready Ref Sheets I haven't gotten around to implementing, like the sweet poison rules, and to spend the next few months cribbing stuff I like from other gamers and other games. To be clear, this is a philosophical choice. In the first five years of D&D, the game was not really played "as written" by the majority of the groups that were out there; the sketchy nature of the rules and the creative nature of the hobby scene meant that everybody was coming up with their own take on everything, and that was all for the good. And this is really the vision I've always had of classic D&D: it's part of a make-your-own-RPG kit, where a game that is uniquely yours could be constructed from bits and pieces, some of your own devising, some from commercial products, some from other referees. I think Holmes, more than 3LB OD&D, is open to that interpretation, mainly because it's a straightforward and well thought out presentation of the rules, and it includes things like thieves that were cut from OD&D for space. Thoughts on the above thoughts are appreciated! ...for disappearing off the map! I got married last fall, and life was really busy, and I'm moving this summer and gaming (and therefore attention devoted to it) has been something that's been put off for upwards of a year. Anyway, I'm thinking of doing something maybe Holmes-based after the move and I might start putting up thoughts. Feel free to let me know of any really cool stuff I've missed.